Full payment is required 30 days prior to your arrival. If a reservation is cancelled 30 days prior to your arrival date, there is no refund of any amount unless we can re-book the reserved room, in which case you will receive the amount received for the reservation. In case of an emergency or injury, a hotel credit will be considered. Any broken or missing items will be charged to the guest’s credit card. Number of people is limited to the Registered Guests Only. All noise must be kept to a minimum. Nomads Hotel is NON-SMOKING. A $250 cleaning fee will be charged to guests who do not respect this policy. Any illegal activity will result in immediate cancellation of remaining reservation and guest must leave immediately. Loud or rowdy behavior that disturbs other guests or neighbors is prohibited. This includes fighting, foul language, and verbal abuse. No parties are allowed in the hotel rooms. Personal items need to be kept clean and organized. No smelly laundry, shoes, or foul smelling items in any of the rooms. No pets of ANY sort are allowed in the hotel rooms. This includes dogs, cats, reptiles, birds, rodents or anything deemed a pet by hotel management. No smoking in hotel, on patios or within 50ft of the hotel rooms. Guest is responsible for any damage to rental equipment. No towels, clothing, wetsuits, surfboards, etc should be attached, leaning or hanging on the hotel patio fences. Any act causing damage to any hotel property. Damages will be charged to the guest. If a double-booking occurs as a result of an error on the part of the hotel, or its booking partners, we will do everything in our power to accommodate our guest, however we reserve the right to refund and cancel the reservation. No persons under the age of 18 allowed without a legal guardian staying at at hotel with the minor. We invite you to enjoy the warm, casual and fun environment of Nomads Hotel! 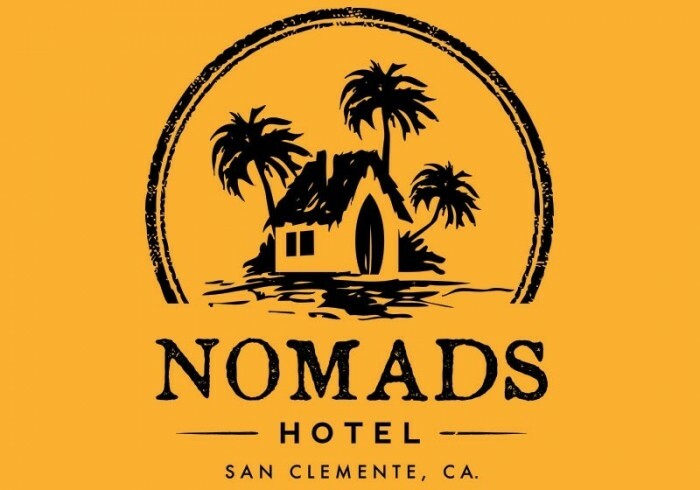 Nomads is located in the heart of downtown San Clemente. San Clemente is a city Located on the California Coast, midway between Los Angeles and San Diego at the southern tip of Orange County. San Clemente is known for its ocean, hill, and mountain views, a pleasant climate and its Spanish Colonial style architecture. Come experience the “Island Style” vibe of Nomads Hotel. Our seven creative, individually styled and artistic rooms can accommodate your every need no matter how large or small your group is.